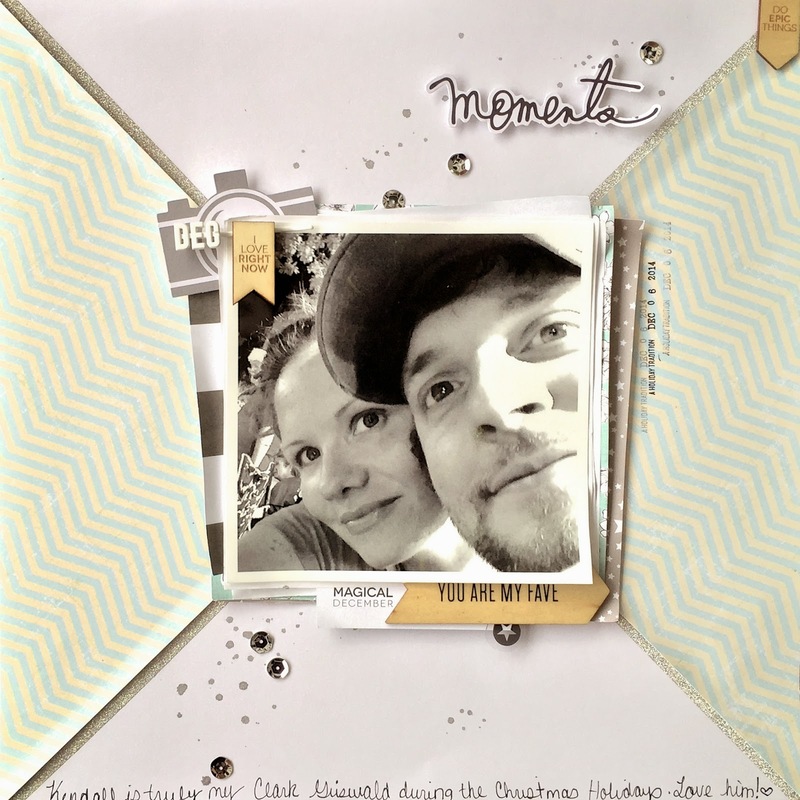 The Scrap Our Stash Challenge Blog is having a photo inspiration stash challenge. The Rules: You must create a layout using this photo to inspire you. It can be anything from color, theme, food, using circles, etc. ANYTHING that inspires you. You must also use something from your stash that sparkles- glitter, bling, sequins, glitter, stickles, etc. You can get to the challenge HERE. I was very inspired by the photo. The first thing that caught my eye was the color scheme. 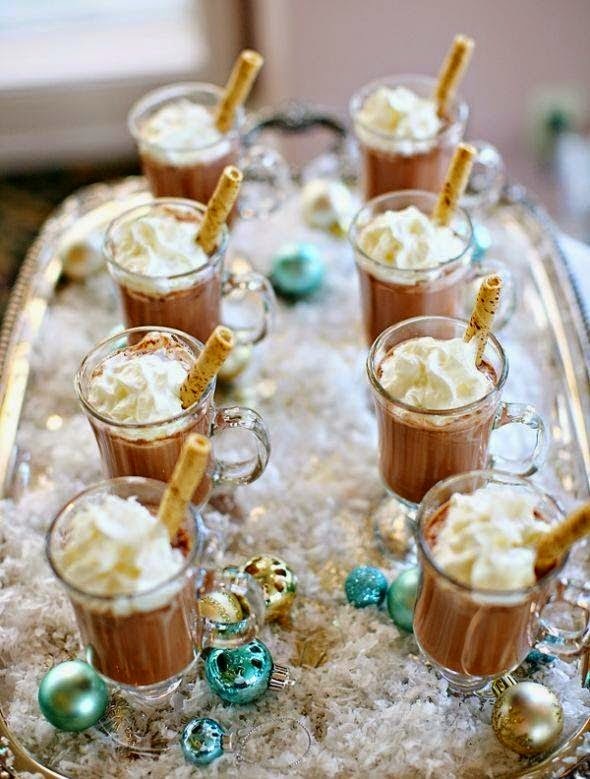 The photo made me think of the Holidays and being with a group of family and friends. Then, I liked how the photo was very centered on the object. I followed the same color scheme as in inspiration picture. Since the inspiration picture reminded me of holidays with family & friends, I chose a photo of me and my husband at a holiday parade. We went with a large group of friends and family and had a wonderful time. Also, I kept my layout very centered and in line, just like the glass mugs in the photo. I added two items that sparkle- silver glitter wash tape (along the patterned paper background) and I added silver sequins. This was a great challenge. I love using a photo for inspiration. Where do you find inspiration? I would love for you to share! What a great layout! Awesome design and take on the challenge! Thank you so much for linking up with Scrap Our Stash! Thanks Kate! Y'all totally inspired me. I don't know what I would do without silver sequins! Nice layout! Thanks for joining the Scrap Our Stash Challenge! Love your page Andrea, and great job on the inspiration challenge! Thanks for playing along with us at Scrap Our Stash! I really love your layout design and its softness! Thank you for playing along us with us at Scrap Our Stash! Such a great layout! and I love the colors you used, so soft! Thanks for joining the Scrap Our Stash Challenge! Awesome layout. Love the layering technique. Thank you for joining us at Scrap Our Stash.